William and May’s storybook tale began fourteen years ago, at the literal turn of the century, when they had met as young lovers during the formative years of high school. Now over a decade later, as young professionals in the prime of their lives, they had kept their flames of love burning ever since, like a torchlight illuminating the dark uncertainty of time, of their futures, and finally finding solace in a safe haven which would be their wedding day. 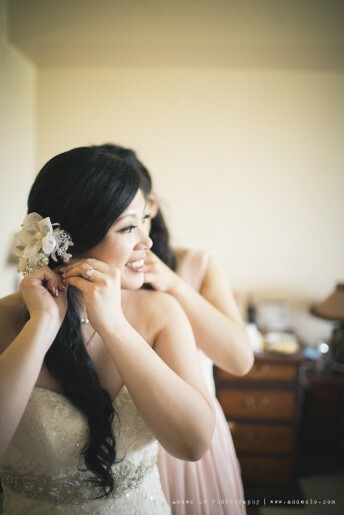 Filming for the fated day began for our videographers and cinematographers with the dress-up preparations for both bride and groom. William wore a sharply fitting suit and bow tie with a lily white corsage to complement the ensemble, and May opted for a shimmering red Chinese wedding dress embroidered with golden thread and accented alongside May’s favourite jewels and ornaments. With them, their own entourages of bridesmaids and groomsmen had on matching light pink outfits and sleek silken black suits respectively. For the traditional Chinese door games, the theme of red returns as William’s door was decorated elaborately in a Chinese theme of red and gold, with effigies of hearts and flowers giving a cultural double-entente to the lovingly prepared arrangement. The door games themselves was a rather zany madcap sight to be seen. You can preview a bit of the fun in the included highlight reel. The fun and humour which began the day would however make a slight detour for the traditional tea ceremonies afterwards. Never passing a chance to make a serious moment a bit more awkward, William would improvise his own rap song to declare his love for May in front of her family during the first half of the tea ceremony. I’m sure they received his intentions well, if anything, since the couple then proceeded to Williams’ parents’ residence, a gorgeous penthouse suite overlooking Scarborough’s Tam O’Shanter park, for the tea ceremony with William’s family. In turn, the couple finalized the formalities between the families in traditional form, and were ready for the rest of the day ahead. 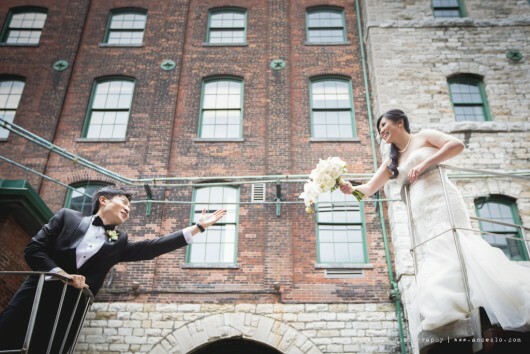 The couples’ ‘first look’ would take place half the city away, in Toronto’s famous Distillery District, an integral part of Toronto’s urban landscape and a fitting stylistic choice for the couple’s wedding day shots. While there, the couple unabashedly enjoyed passing the time on such a significant day of their lives, with a free-spirited aura, happily living through these moments without a care in the world. After many creative photo-shots, one of the street-performers there played a romantic love song for William and May, a lovely and unexpected gift for the couple on their wedding day. Afterwards, the wedding party proceeded to the stunningly elegant Ritz Carlton Hotel, which was only a stone’s throw away from the lake-shore, to commence the ceremonies and the evening’s reception. The ceremony was an undoubtedly joyous occasion. As William and May were finally wed, the couple walked back down the aisle as they were greeted side by side with unanimous applause and plenty of commemorative picture-taking abound. 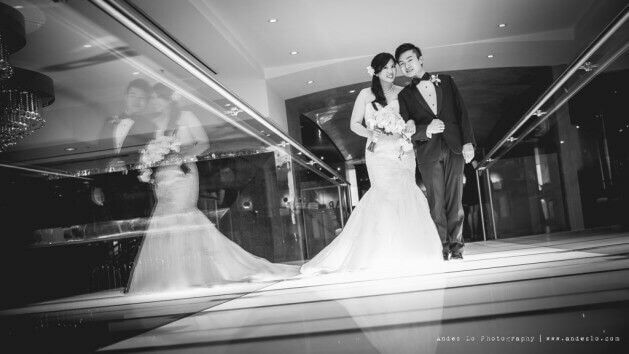 The reception was also held in the Ritz Carlton, with a brightly lit wedding podium for the newlyweds and an elegantly arranged banquet hall for the guests. 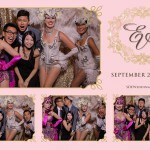 William and May had also requested our photobooth services to entertain the endless array of guests during cocktail hour. You can see a few snapshots of all the fun and excitement in the preview pictures below. The centrepiece of the reception however would be the ballroom dance between William and May, which the couple had diligently prepared for. 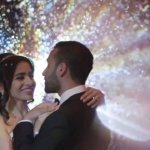 Right after the ceremony, William began practising his part of the dance alone, which payed off immensely as our videographers and cinematographers noted that the couples’ first dance was one of the best they’ve ever seen. Aside from the ever lovely first dance, more lightheated antics from the newlyweds’ friends as the goofy dancing served to contrast the young and old of the room, a perfect picture of parallels which harkens back to our original theme of dual symbolism, of youthful vigilance and time-worn tradition. 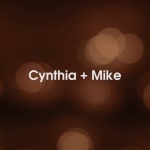 To top off the metaphor, a dark red wine was served to toast the couple on a successful wedding. A fine red wine, like love, would only gets better with age, and as the flushed light red faces on William and May and their friends would indicate their happiness for the moment, their love would unwittingly grow deeper as time goes on. 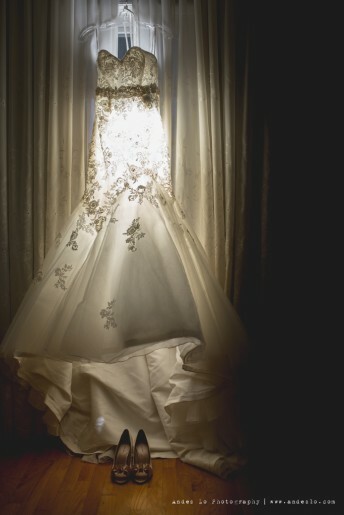 We here at SDE Weddings, Toronto’s premier wedding videography and cinematography company, were more than glad to be a part of William and May’s special day together, and hope that the love that they share continue to bring them many bright and colourful days throughout their lives.